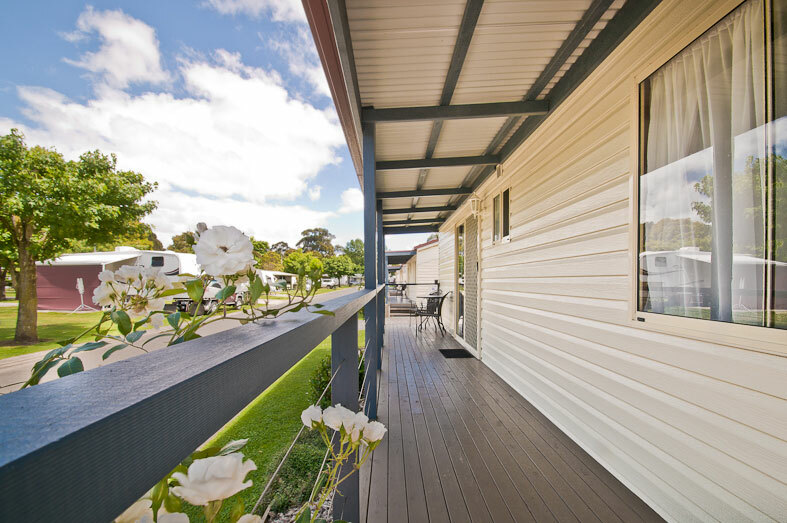 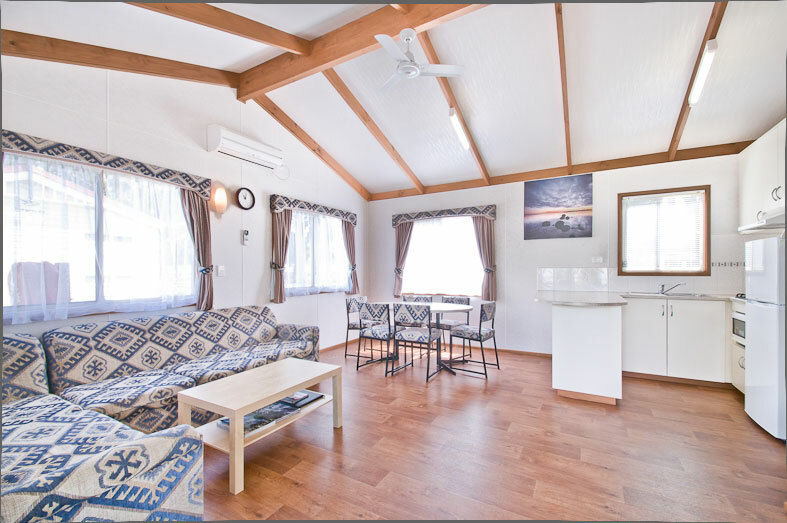 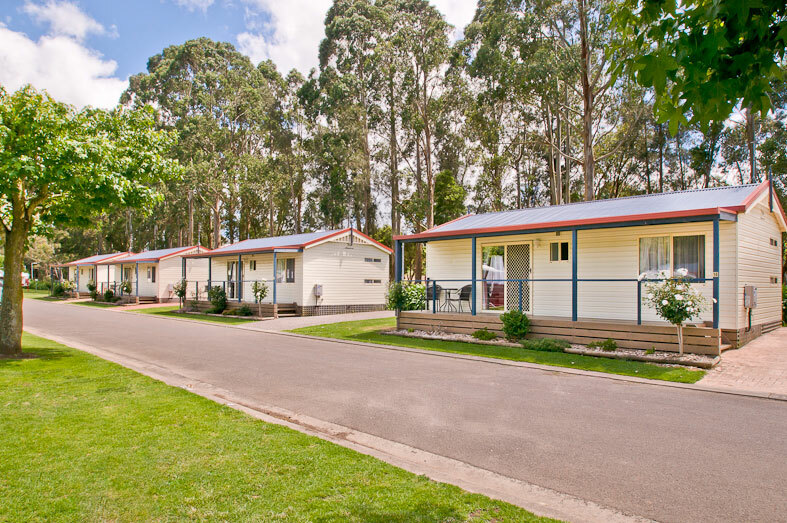 Our spacious Family Cabins are ideally suited to families who wish to have more living space with a large kitchen area including an island bench, six seat dining and cooking facilities. 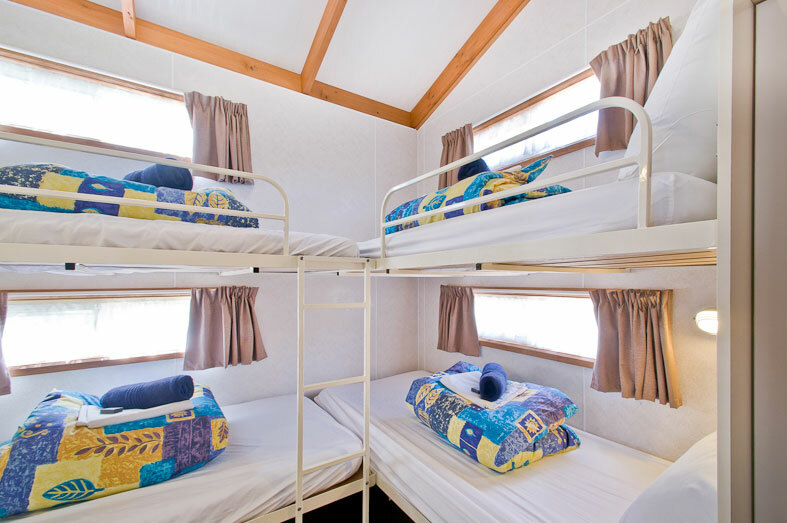 A queen sized bed in the master bedroom and a guest bedroom containing four single bunk beds is fantastic for families. 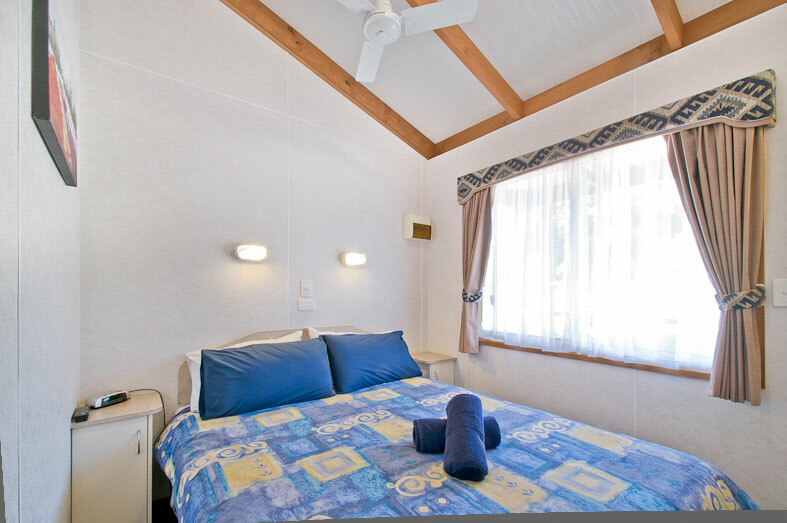 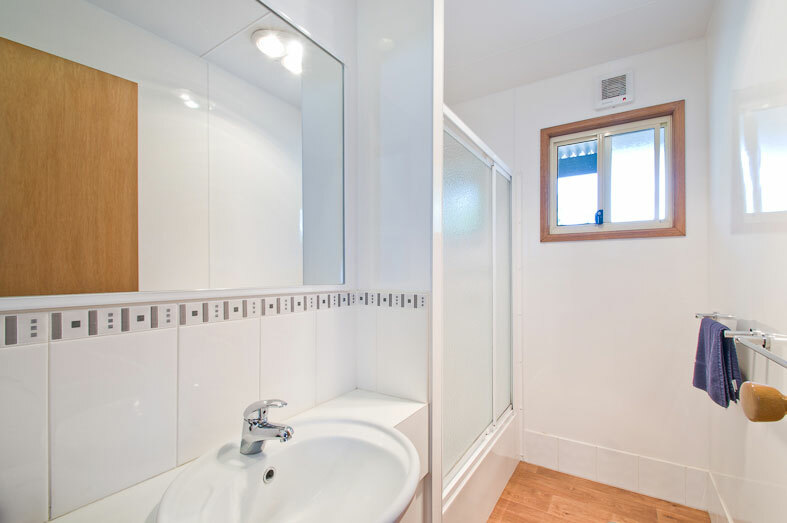 Split system heating/cooling, a full length front veranda and two LCD televisions compliment these cabins.